Just had to share a photo of all the yummy fruits on our table. 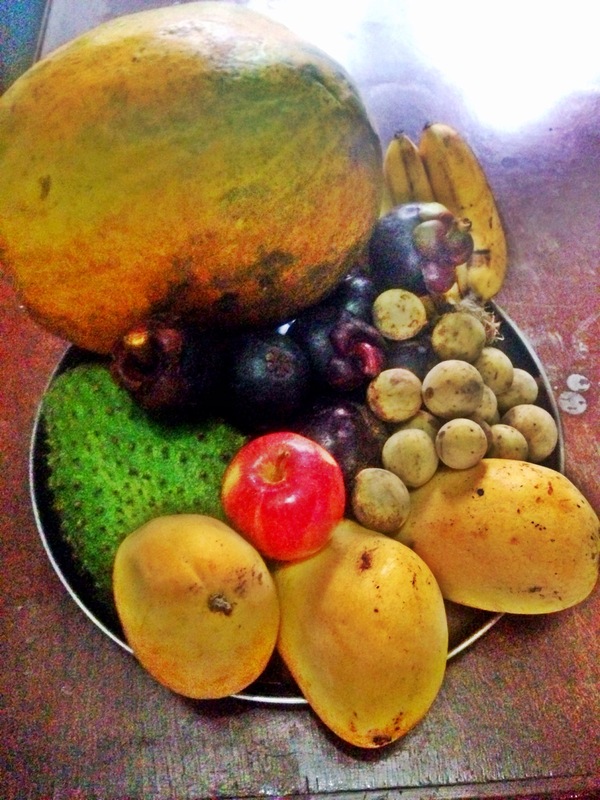 From top L clockwise, they are Papaya, Bananas, Mangosteen (center), Lansones (right) Mangoes and Guyabano (green one on the left). I’m having fun trying different combinations of juices and smoothies. So far so good! This entry was posted in Learning and Living, Lifestyle Inspirations by milea. Bookmark the permalink.